"did not disappoint in terms of taste and portio..."
"Thanks SK for the Shiok food and operational ex..."
Shiok Kitchen Catering starting off in Singapore’s catering industry by service authentic Thai cuisine. Gradually, it has diversified by serving local delights, western gourmet cuisine as well as Chinese cuisine, making a variety of choices available for halal catering. Shiok Kitchen Catering has constantly served its customers with premium and quality service as well as delectable cuisine from their variety of menu formats available. Its name says it all, “shiok” referring to the food served at SK Catering. All their dishes are prepared from scratch, only using quality ingredients to give their customers the best culinary experience that they could pay for. SK Catering also boasts a multitude of esteemed corporate clients and private customers and their audience continues to expand and grow. SK Catering also provides catering during the festive season where many customers have raved that the delivery time continues to remain prompt even during this busy season. SK Catering has a large selection of menus available, including value and regular buffet menus, bento catering, sit down catering, wedding packages and SK Baby shower packages, suited for all events and accommodating to the customer’s every need. The SK Thai Buffet consists of 10 courses of delectable Thai cuisine, inclusive of the Chef’s Signature Pineapple Fried Rice with Seafood. Finish off with a uniquely Thai Red Ruby with Coconut Milk, suited for guests with vegetarian dietary requirements. For a quick and simple option, choose the SK Petite Takeaway: Asian Set Menu A, inclusive of a full set of biodegradable disposable wares and cutlery. Try the Sambal Fried Rice, a chef’s speciality, bound to tantalize your taste buds and leave you smiling for more. 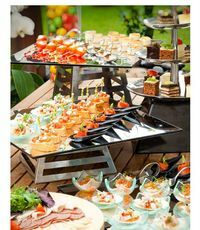 The Petite Takeaways are convenient for venues that are smaller or if customers do not require a full buffet setup. SK Catering also provides for sit down catering, curated to have unique floral presentation and table displays as well as service staff on hand to make your event an unforgettable one. Bento Catering is also available at SK Catering for individually packed and fuss free meals. These include the SK Bento Menu where 5 dishes and a dessert is available, including favourites such as the Pasta with Chicken Bolognaise available for mains. SK Catering is bound to satisfy your guests with the wide availability of different types of cuisine and catering menu formats, available for all events and occasions. 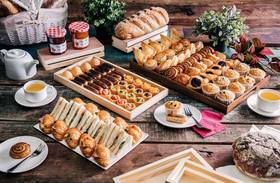 For assured quality catering in Singapore, choosing SK Catering for that “shiok” factor.